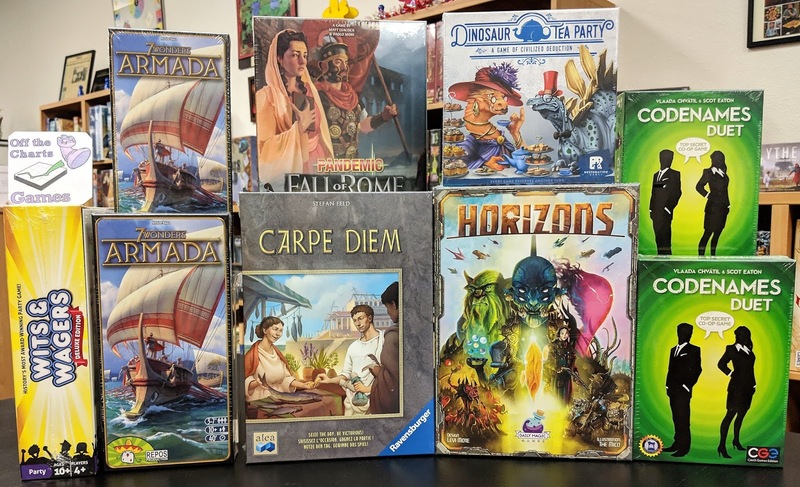 New games keep arriving along with more favorites in restocks. New from famed game designer Stefan Feld is Carpe Diem, a tile drafting and tile laying strategy game. 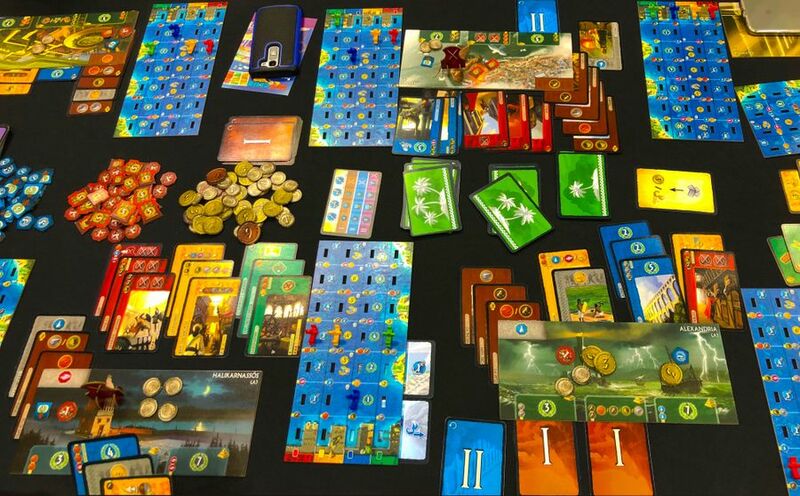 Other Stefan Feld games include Bora Bora, Trajan, Castles of Burgundy, La Isla, Jorvik, Oracle Of Delphi, and more. 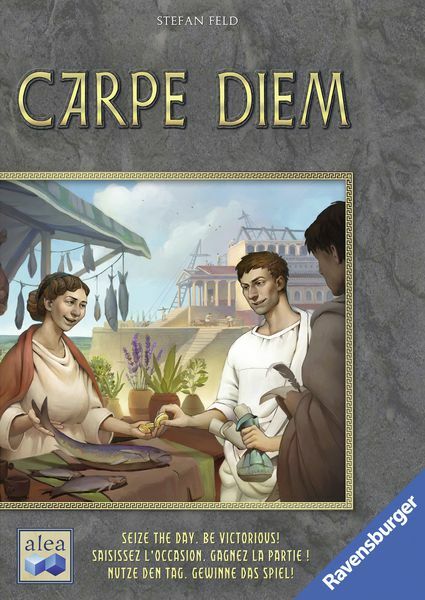 Carpe Diem is in fact a city building game that begins with an interesting twist on how tiles are drafted that leads to a fairly traditional tile-laying city building game. A game consists of 4 phases of seven rounds each. 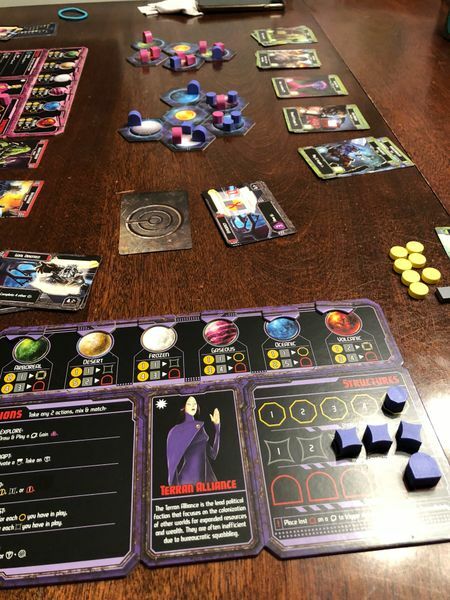 Each player has a building board inserted into a randomly assembled frame that defines unique scoring opportunities. A second twist is reserved for scoring. In a 4-player game only 12 of the 60 available scoring cards are used. The twist comes when each player must select from the 12 scoring cards in play. Each scoring card has a semi-circle on each side. These 12 scoring cards will be laid out in a 4 x 3 configuration. At each scoring phase, each player will place their disc on an empty circle space to trigger both adjacent scoring cards. These scoring discs stay where they are for the remainder of the game decreasing the number of available empty spaces to choose from. New from Daily Magic Games is Horizons, a 2 to 5-player decision-driven game. The includes double-sided player boards, double-sided world tiles, star tiles, etc. In Horizons, you are a star faring species taking the first steps into a new star cluster. Explore new worlds to grow your knowledge and Adapt to living in the varied habitats you discover. Expand your presence in the cluster with new colonies and Exploit the metal and energy resources you find. Ally yourself with assorted interstellar species and Acquire covert missions to increase your influence. Do all of this and you could become the dominant species in this cluster and to begin your reach into the galaxy. 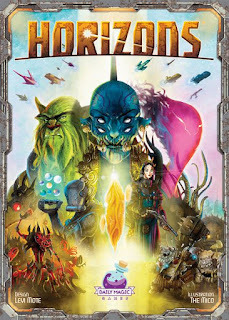 Horizons has multiple paths to victory. 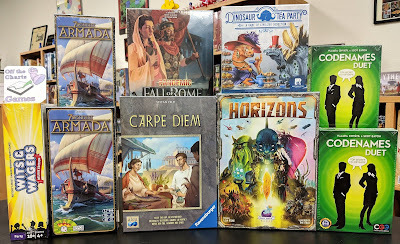 Will you explore and ally your way to knowledge-win, or expand and exploit the worlds for a build-win? Perhaps allies and covert missions will bring you a missions-win, or you'll balance all three paths to create a well-rounded dominion. The choice is yours and the stars await. 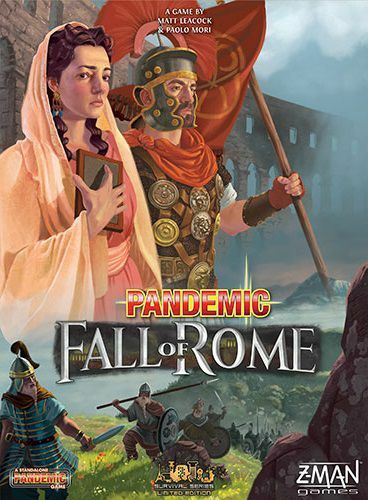 Adding to the Pandemic line of cooperative games is Pandemic: Fall Of Rome. 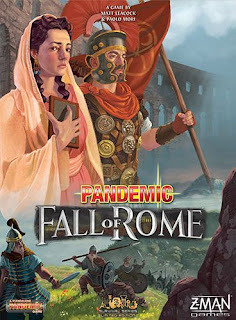 Combining the cooperative game play of Pandemic with innovative new mechanics, Pandemic: Fall of Rome takes players back in history to the time of the world’s greatest empire: Rome. A weakened military has left the borders open to invasion from countless tribes such as the Anglo-Saxons, Goths, Vandals, and Huns. As you march through the Roman Empire, you must recruit armies, fortify cities, forge alliances, and face off against the invading hordes in battle. Take on unique roles with special abilities to improve your team’s chances to protect against the invaders. Work together, use your skills wisely, and stop the fall of Rome! 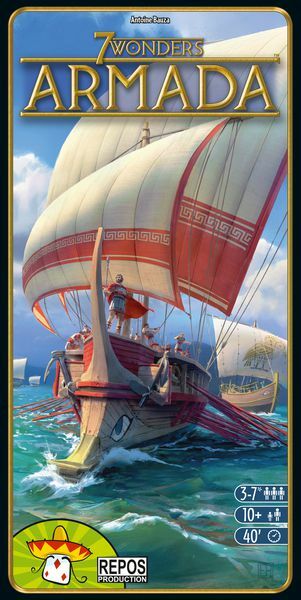 Conquer the seas in the latest expansion to the base game, 7Wonders, a card drafting - set collection game. This expansion allows players to build and control 4 fleets of ships. There are two new kinds of cards: Armada and Island provide for more interaction between players. Take part in naval conflicts, discover new trade routes, and explore unknown islands.